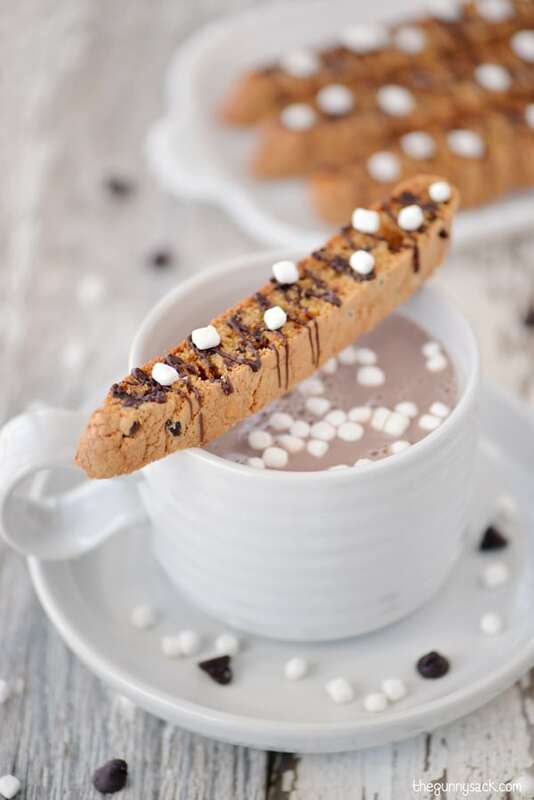 Disclosure: I made this Hot Chocolate Biscotti recipe as part of a sponsored post for TruMoo. Last weekend some of our friends made a last minute trip to Minnesota. We were super excited to see them and we took advantage of the great weather by going ice skating. The fun, outdoor rink we went to is made up of three ponds connected by meandering canals. There is a large, heated building with an outdoor fireplace, but we spent our time outside skating. I brought along a carafe of hot TruMoo Chocolate Marshmallow milk and a bunch of delicious Hot Chocolate Biscotti to share. It was such a fun evening. 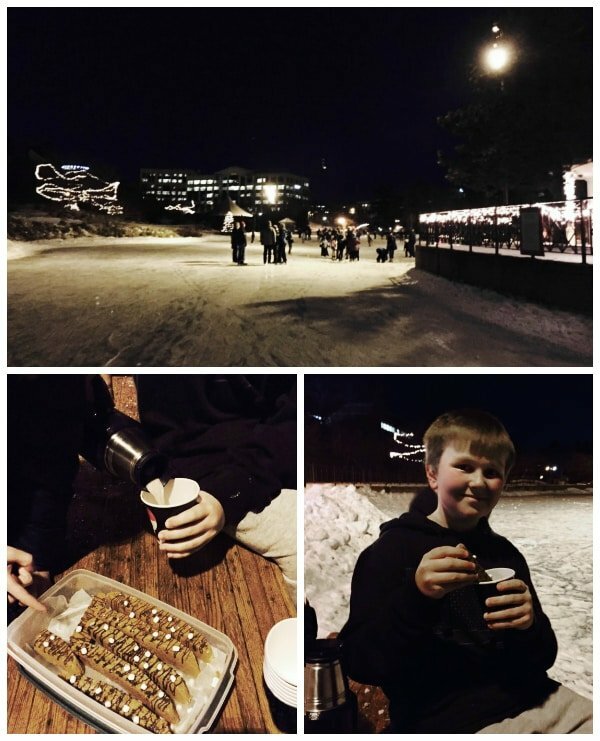 Everyone loved the hot chocolate and biscotti. We enjoyed the snack while sitting on benches alongside the skating rink. All of the kids were asking to go again the next day! To make the chocolate marshmallow biscotti, beat the eggs and sugars for about 3 minutes, until thickened. Beat in the melted butter and vanilla. Mix in the flour, baking powder, baking soda and salt. Finally, stir in the chocolate chips and mini marshmallow bits. Cover a cookie sheet with a silicone baking mat or parchment paper. 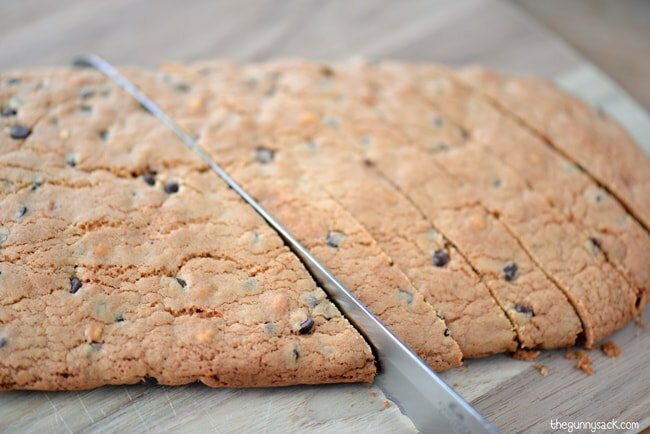 Take half of the dough from the bowl and form into a log shape that measures about 10 inches by 3 inches on the cookie sheet. Then, do the same for the second half of the dough, leaving at least 3 inches between the logs. Bake at 350 degrees for 20-25 minutes until golden on the outside. (The center will still be soft.) Turn the oven down to 300 degrees. Allow the logs to cool on the cookie sheets for 10 minutes. Then, carefully move them to a cutting board and cut into ¾ inch slices using diagonal cuts with a serrated knife. Lay the slices on the cookie sheet, at least ½ inch apart, with the cut side down. Bake at 300 degrees for 17-22 minutes, until crisp and brown. 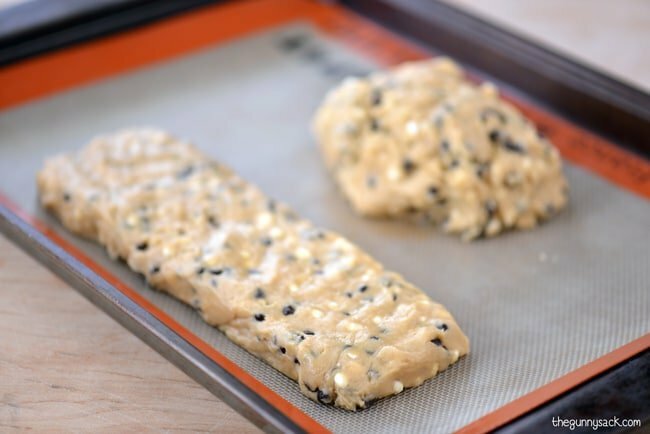 Allow the biscotti to cool for 5 minutes on the cookie sheet and then move to a wire rack to cool completely. 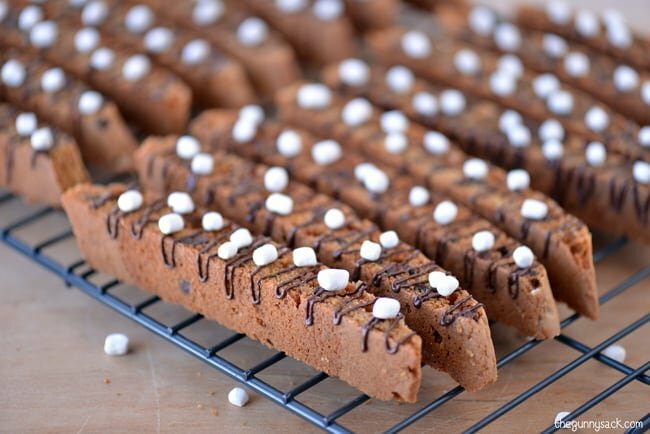 Drizzle the biscotti with melted chocolate and sprinkle with mini marshmallow bits. Pour a cup of TruMoo Chocolate Marshmallow milk and heat it up in the microwave or keep it cold, if you prefer. 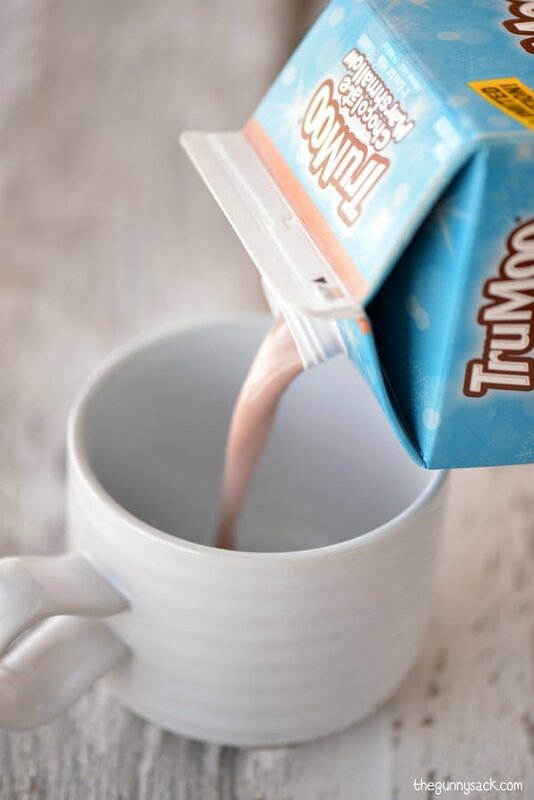 TruMoo Chocolate Marshmallow milk is made with wholesome low-fat white milk, no artificial growth hormones or high fructose corn syrup, and is brought to you by your trusted local dairy. It is the perfect drink to enjoy while partaking in your favorite winter activities. According to a new study by Walkfield Research, watching movies tops the list of Americans’ favorite indoor winter activities, followed by reading books and playing games. The top outdoor wintertime activity for Americans is building a snowman, followed by starting a snowball fight and sledding. Top it with some mini marshmallows and a chocolate chip marshmallow biscotti. Nearly 70 percent of Americans agree that hot chocolate is the drink that reminds them most of their childhood. 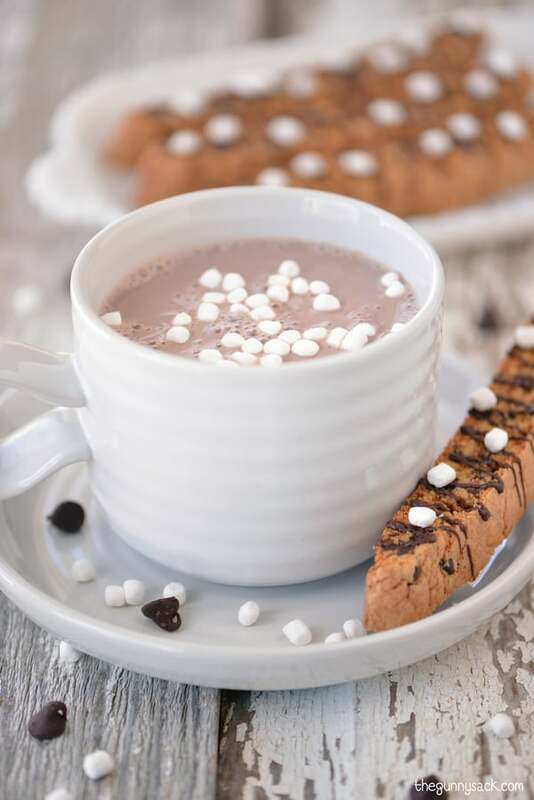 Pick up some of the limited edition TruMoo Chocolate Marshmallow milk (available through the end of February 2015), bake a batch of Hot Chocolate Biscotti and plan a fun winter activity for your family and friends! Beat the eggs and sugars for about 3 minutes, until thickened. Stir in the chocolate chips and mini marshmallow bits. Allow the logs to cool on the cookie sheets for 10 minutes. 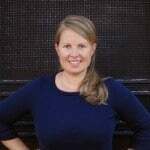 Carefully move them to a cutting board and cut into ¾ inch slices using diagonal cuts with a serrated knife. Allow the biscotti to cool for 5 minutes on the cookie sheet and then move to a wire rack to cool completely. 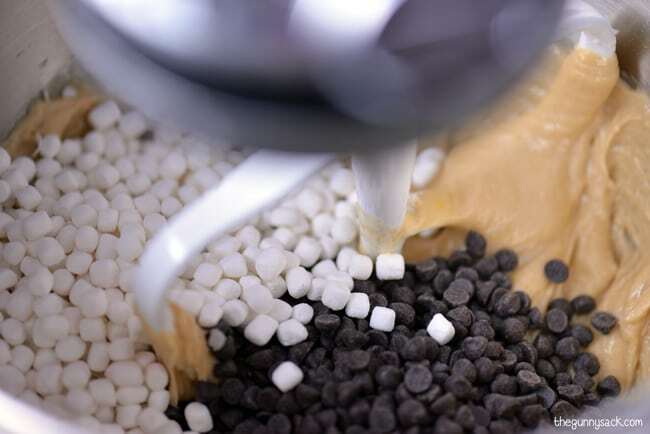 Melt the 1/2 cup of chocolate chips with 1/2 tablespoon of vegetable shortening, in the microwave. 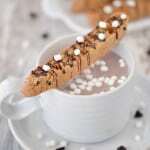 Drizzle the biscotti with melted chocolate and sprinkle with mini marshmallow bits. Wow these look like the perfect treat! Delicious! I can’t resist a good biscotti! I wish I had one to go with my coffee right now! Mmmmm…I know what you mean! Thanks Jessica! I have always wanted to learn how to ice skate but I fear I might be the worst at it…haha. However, it looks like you had a great time 🙂 This biscotti is totally up my alley too. Love those little tiny marshmallows…yum! A friend of ours broke her arm really bad while ice skating recently, so I was nervous! I’ve been ice skating for as long as I can remember, but the older I get, the less times I go each year. One really neat thing about the place we skated is that they have ice skating trainer walkers for adults and kids! I love biscotti’s but have a bigger love for hot chocolate (or just chocolate milk even!) This is such a fun treat! There’s nothing quite like it, is there? Thanks Meg! I love making and eating biscotti – and I love this combination! Totally making this soon! This is only my second time making it but I need to try more combinations! Thanks Martha! I never made biscotti but I think I need to get to it 🙂 Yours look fabulous! These would be so much fun to make with my kids! I’m sure a lot of the mini marshmallows would mysteriously disappear, but it’s be such a fun snow day activity! I have never seen biscotti with marshmallows – looks so tasty! Perfect for a chilly night. What beautiful biscotti and with marshmallows – great idea! I could certainly go for a couple of these with my coffee this morning. What fun and I wish I had one of these biscotti right now. In fact, yours all look wonderful! 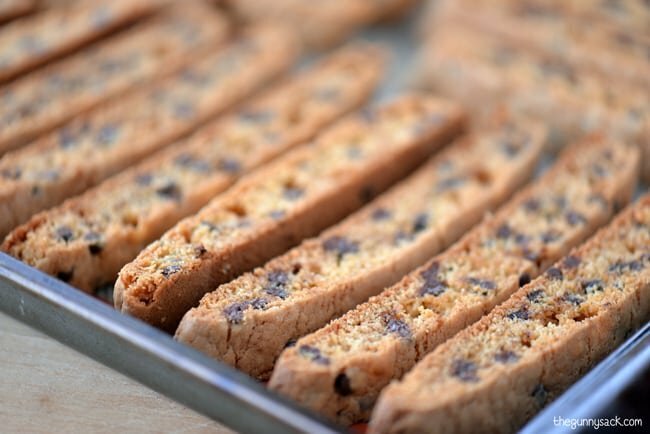 I’ve never made biscotti and have hardly ever eaten it, but this might just change my habits! 🙂 Pinned! I would love to have some of these Chocolate Chip Marshmallow Biscotti for breakfast now!